Through daily school meals, elderly food kits, emergency food distributions and pre-school malnutrition programs, we are helping 25,000 people each month combat the problems of malnutrition and hunger. With donations from Mary's Meals and food kits from BND, we distributed more than 10,000 food kits of rice, beans, oil and salmon after the January earthquake. 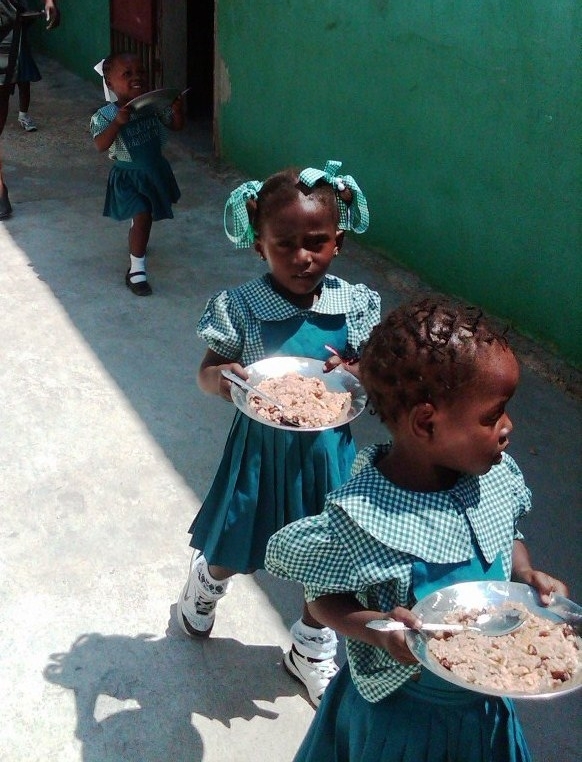 Student and elderly daily meals began in late February and continued throughout the year. We feed 1,200 elderly and 9,700 students per day. Grow legumes and other food at our agricultural projects to include with the rice and beans.